At Fireplace Studio Brighouse, we take pride in offering some of the best fireplace brands on the market. We know how important quality is so we have carefully selected the best manufacturers to offer our valued customers. We can guarantee that your needs will be fully met by the products we have to offer. We aim to ensure happiness with every fireplace. If you can’t decide from our wide range of fireplace brands, which will suit your home. Take a quick look around our showroom and arrange a free consultation with one of our staff who will help you settle on an ideal option. Our fireplace brands include stoves, gas fires, hole-in-the-wall, electric, and even flueless products. Designing and producing eight top brands of fireplace and stove – Kinder, Flavel, Verine, Global, Kohlangaz, The Collection by Michael Miller, Celsi, and Portway – all BFM Europe products are made in the UK and to the highest of standards. BFM Europe’s broad range of products lead the way in innovation and modern design, so we can offer something for every single taste. We’re proud to work alongside Bellfires, a family-run Dutch manufacturer who have been producing fireplaces for nearly a century from their base in Benelux, Holland. No other company dedicates itself to individual craftsmanship in the same way as Bellfires. Each fireplace is created to suit only you, and the efficiency of Bellfires means a quality personalised product can be with you in only three weeks. Working hard to provide elegant and simple design, Elgin and Hall’s fireplaces bring unrivalled aestheticism to your home. Based in Yorkshire and with a reputation created over 45 years of work Elgin and Hall fireplaces are made with stunning natural materials such as marble, slate and even timber, and are regarded as some of the best available. Part of the BFM Europe family, the Collection by Michael Miller features some of the most attractive fires around. The Michael Miller Collection offers some of the most energy efficient models available, with constant technological development. The manufacturers are so confident in the quality and performance of their models that each comes with a 25-year guarantee. 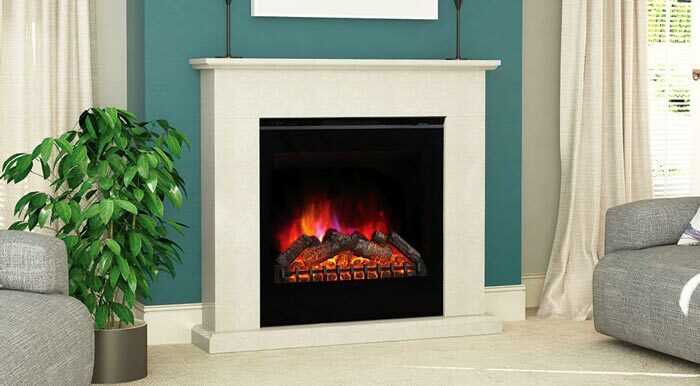 Evonic fires are some of the best and most energy efficient fires on the market. Their modern designs come with a choice of flame picture, low energy LED or the latest award-winning LED evoflame. The evoflame technology is now available on most of their appliances. We’re happy to stock and install the entire range of the stunning Evonic fires. We only choose the best partners when selecting who we work with to ensure you get the best quality possible. For more information about our brands contact us on 01484 402336 or visit our showroom.